1. 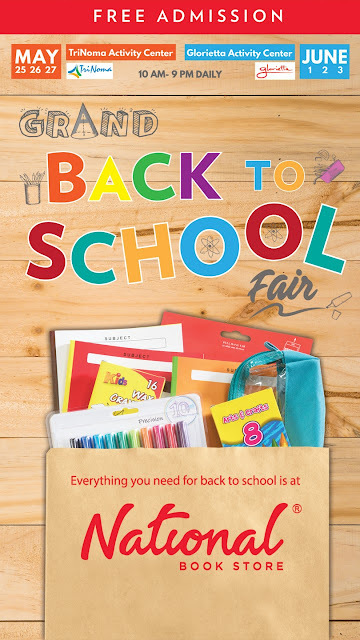 They have a Grand Back to School Fair that will make shopping for school supplies easier. National Book Store is inviting everyone to complete their back-to-school shopping at their Grand Back to School Fair. The first leg is happening right now (May 25 to 27, 2018) at the TriNoma Activity Center. The second leg is from June 1 to 3, 2018, at the Glorietta Activity Center. 2. National Book Store has everything! Pati uniforms! Saan ka pa? From all sorts of pens imaginable to paper of various thicknesses and colors, from affordable notebooks to the fanciest journals, from the practical to the sosyal—lahat yan nasa National! 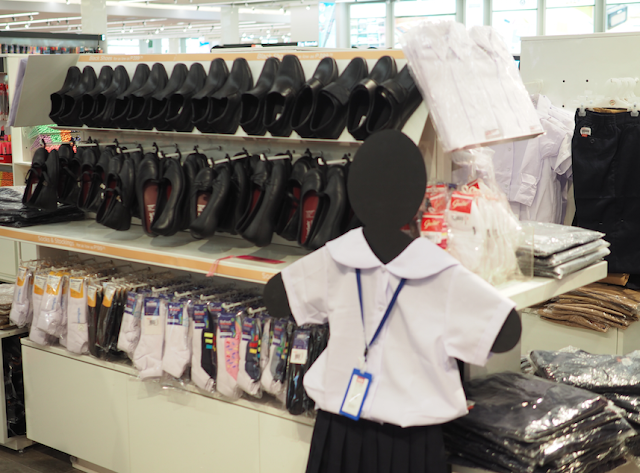 I know there are many places that sell school supplies but I like the ease and convenience and locations of NBS. Usually sa malls so there's aircon, parking, there are nice places to eat, and they're relatively safe for families. 3. You get freebies and fab deals! I love the Grab & Go packs! Starting at P145, these are bundled supplies for every grade level. So instead of me hunting around the store for glue, scissors, eraser, etc, I just grab and go the pack I need. Haaaay, sobrang dali! There are also Backpacks to School, conveniently filled with student the essentials like brown envelopes, notebooks, pens, pencils, and more. Two kinds are available: one for Grades 1 to 3 (P329) and one for Grades 4 to 6 (P399). 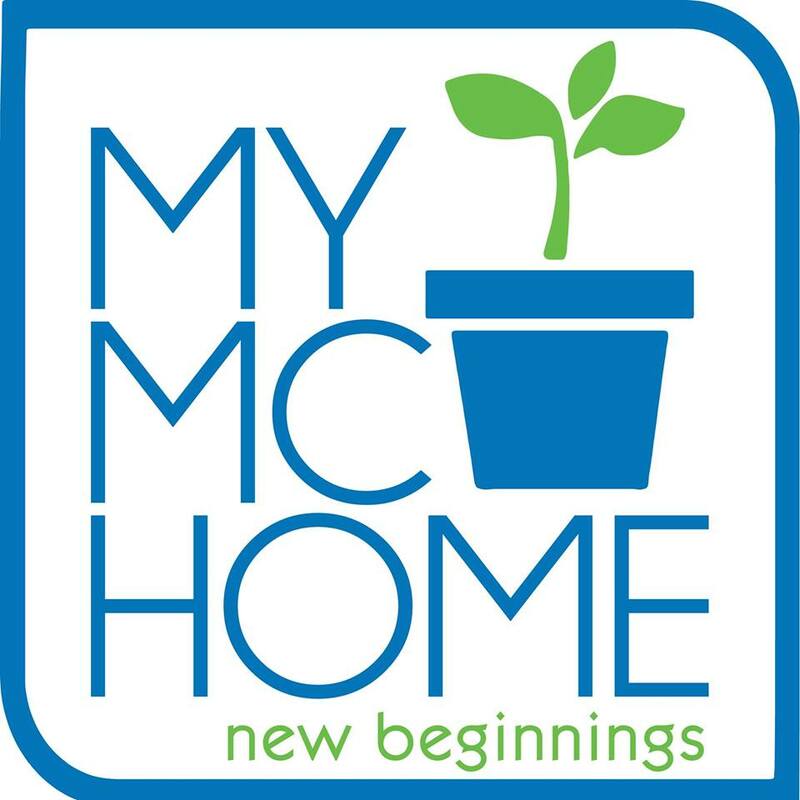 And yes, may rewards, mamas! 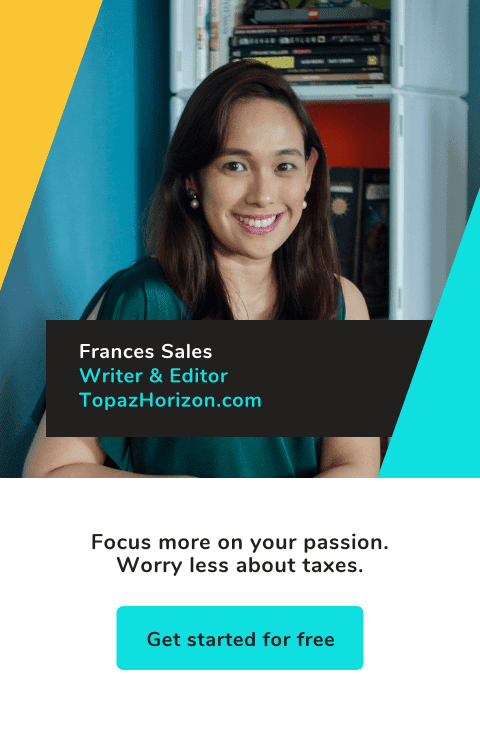 You can get a free tote bag for every P1,000 worth of purchase. Get a drawstring bag for only P99 for every P300 worth of purchase. 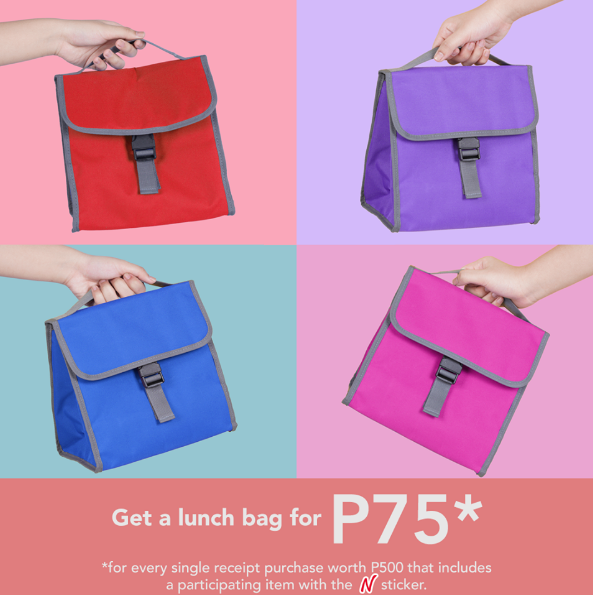 Get a lunch bag for just P75 for every P500 worth of purchase of participating items. We totally love the lunch bag! It's compact but roomy so kasya ang lunch, merienda and water bottle. It's light and stain-resistant because it's made of nylon. And it comes in those bright and happy colors! Winner in my mama book! So another reason is to please tell me if you see Vito's photos anywhere in the NBS branches and please please send me pictures! 3. Because everyone shops there! 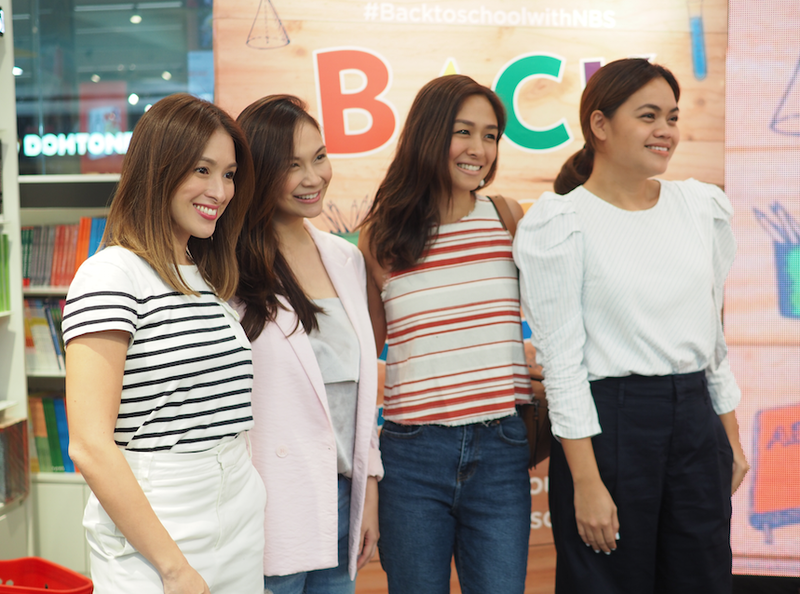 From the most wais-tipid mommies to the most glam mamas, everyone shops at National Book Store especially during back-to-school season! Mga ilang beses na rin ako nakakita ng mga celebs sa NBS, usually if I go to the Power Plant Mall and Shangri-la Plaza branches. So one perk can be celebrity sightings while you're buying notebooks and plastic covers! There you go! Three reasons why you ought to do your back-to-school shopping at National Book Store! 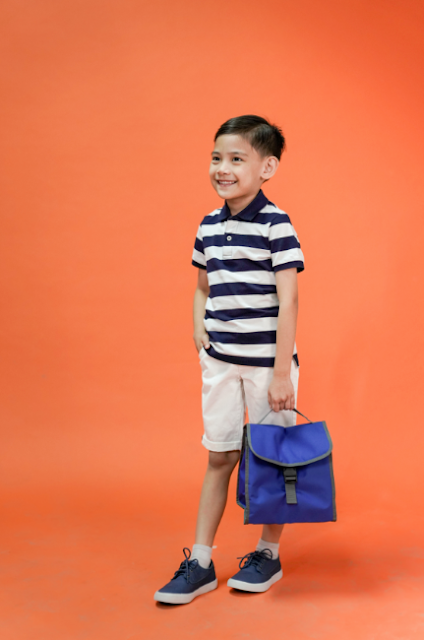 Remember: This weekend, the Grand Back to School Fair is at TriNoma Activity Center for the northerners and easterners. If you're from the south and west, go to Glorietta Activity Center next weekend because the Grand Back to School Fair will be there. Registration starts at 10:00 am and continues throughout the day. Admission is free! I'll share my back-to-school haul next week. Share yours, too! Use the hashtag #BacktoSchoolwithNBS and tag @nationalbookstore on Instagram and @nbsalert on Facebook and Twitter. NBS is also on Viber and YouTube. You can also shop through their delivery hotline 8888-627, or online at www.nationalbookstore.com. I'm also done with my back to school shopping! It's a huge relief. Nabawasan na ako ng iniisip. And of course, i shopped at National Bookstore. Like what you've said, everything that we need are there. Nakakatuwa ang daming choices, brands at wala ka na talagang hahanapin pa. It's really convenient and even my daughter enjoys the store. I'm definitely checking out National Bookstore the next time that we go to the mall. Gusto ko makita photo ni Vito. I remember you posted a teaser on IG. I actually miss shopping for school supplies! When my siblings and I were still in school, our parents and some of us would go to National Bookstore typically on the first weekend of May. Then over the next few weeks, my sister and I would be in charge of wrapping all the notebooks and books in plastic.